THESE TERMS REQUIRE THE USE OF ARBITRATION TO RESOLVE DISPUTES, RATHER THAN JURY TRIALS. BY SUBSCRIPTION ON EZVIZ APPS, YOU ACCEPT AND ARE BOUND BY THESE TERMS. YOU MAY NOT ORDER OR OBTAIN CLOUDPLAY SERVICE FROM IF YOU (A) DO NOT AGREE TO THESE TERMS, (B) ARE NOT THE OLDER OF (i) AT LEAST 18 YEARS OF AGE OR (ii) LEGAL AGE TO FORM A BINDING CONTRACT WITH EZVIZ INC., OR (C) ARE PROHIBITED FROM ACCESSING OR USING THE WEBSITE OR EZVIZ APPS BY APPLICABLE LAW. CloudPlay is a subscription-based service that records and stores video from EZVIZ’s certain products (“Products”). The resolution of the recorded videos may be different than the maximum resolution supported by the Products due to network connections, ISP services, CloudPlay subscriptions, and other limiting factors. These CloudPlay Paid Subscription Terms (“Terms”) govern your enrollment in a Paid Subscription to EZVIZ’s cloud storage services (“CloudPlay Services). PLEASE READ THESE TERMS CAREFULLY. If you do not agree with these terms, do not subscribe to our CloudPlay Services. These Terms are incorporated into the EZVIZ Services’ Terms of Service , which also apply when you use our CloudPlay Services. When you activate any of our Products that include online data storage, you will automatically receive a one-month trial to our Storage Services free of charge. After the trial period, you may elect to purchase our CloudPlay Services on a subscription basis (e.g., monthly or annually (as applicable)). If you choose to purchase a Paid Subscription for our CloudPlay Services, you agree to pay the applicable charge associated with that Subscription. You are responsible for all applicable taxes. We may suspend or cancel the Paid Subscription if we do not receive a timely and complete payment from you. Suspension or cancellation of your Subscription due to non-payment could result in a loss of access to the content in your Account. You will be asked to provide a payment method when you register for the paid subscription. 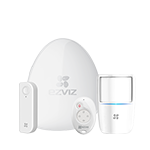 You can access your billing information and payment method by signing into your account on EZVIZ apps, where applicable. 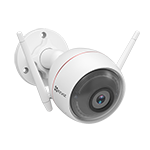 You agree that EZVIZ may use any updated account information regarding your selected payment method provided by your issuing bank or applicable payment network. You agree to keep your billing account and contact information current at all times. Changes made to your billing account will not affect charges we submit to your billing account before we could reasonably act on your changes to your billing account. 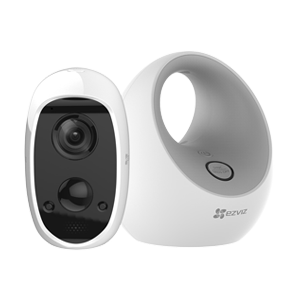 §authorize EZVIZ to charge you for any paid feature of the CloudPlay Services that you choose to enroll in or use. You may view our current CloudPlay Services subscription prices on the corresponding pages of EZVIZ apps. When you enroll in a Paid Subscription for CloudPlay Services, we will automatically renew your subscription at the end of the applicable period. In other words, we will automatically bill you from the date you subscribed to the CloudPlay Services, and on each periodic renewal until cancellation. When you sign up for a Paid Subscription, you acknowledge and agree that you are authorizing recurring payment on either a monthly or annual basis (as applicable), and payments will be made to EZVIZ by the method and at the recurring intervals chosen by you, until the Paid Subscription is terminated by you or by EZVIZ. 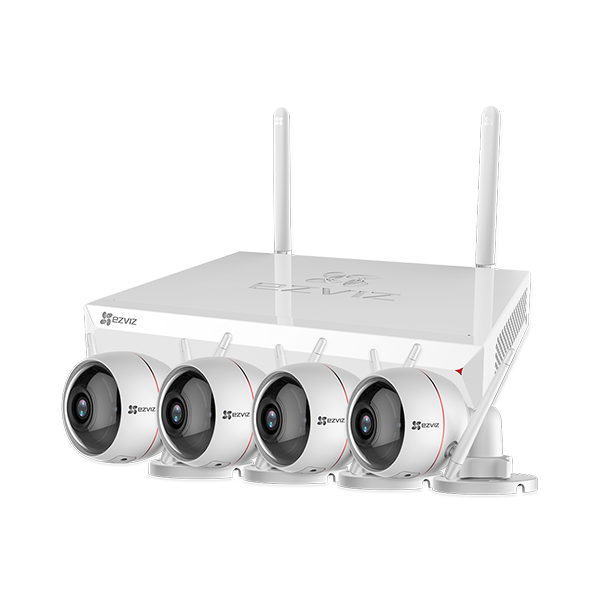 By authorizing recurring payments, you are authorizing EZVIZ to process such payments. If you have signed up for a Paid Subscription that automatically renews on an annual basis, EZVIZ will notify you of the pending renewal no later than 30 days prior to the end of the initial 12-month term (and each subsequent 12-month term). If you have signed up for a Paid Subscription that automatically renews on a monthly basis, we will not notify you of any pending renewals unless there is a change to the price of the Paid Subscription. YOU MUST CANCEL THE PAID SUBSCRIPTION BEFORE THE RENEWAL DATE TO AVOID BEING AUTOMATICALLY BILLED FOR THE RENEWAL. Paid Subscriptions are non-refundable. You may cancel your Paid Subscription at any time. Refunds are only issued if required by law. For example, users living in the European Union have the right to cancel their Paid Subscription within 14 days of enrolling in, or renewing a Paid Subscription. Please note that your Paid Subscription will remain in effect until it’s cancelled or terminated. If you remove a registered payment card or a renewal charge is rejected by your financial institution, your Paid Subscription will be terminated at the end of your subscription period. 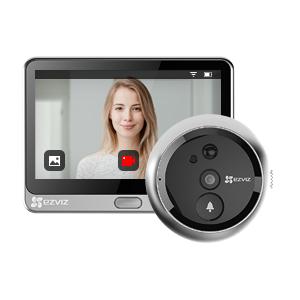 You may cancel your Paid Subscription at any time, with or without cause, by logging in your account via EZVIZ apps and following the cancellation instruction. We reserve the right to change the prices and fees associated with CloudPlay Services. We will provide notice of price and fee changes by sending a message to the email address associated with your account. Price changes will take effect at the beginning of the next payment interval. If you do not agree to the price or fee change, you must cancel the paid subscription and stop using the CloudPlay Services before the change takes effect. You agree all disputes arising out of or relating, in any way, to these Terms or your subscription or use of the CloudPlay Services, on an individual and purely bilateral, non-class/non-representative bases, shall be resolved by means of arbitration and shall be submitted exclusively to the China International Economic and Trade Arbitration Commission (“CIETAC”) in Beijing in accordance with CIETAC rules. The preceding provision regarding dispute resolution does not apply in some jurisdiction where such dispute resolution may be prohibited. For example, if you are a consumer based in the European Union, you may make a claim in the courts of the country where you reside. The failure by us to enforce any right or provision of these Terms will not constitute a waiver of future enforcement of that right or provision. The waiver of any right or provision will be effective only if in writing and signed by a duly authorized representative of EZVIZ. These Terms and the Terms of Service are the final and integrated agreement between you and us on the matters contained in these Terms.